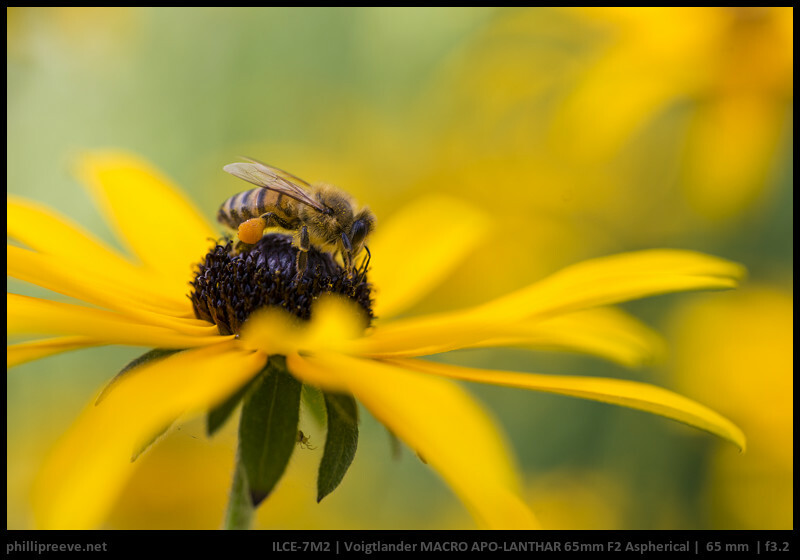 In this Guide to Macro lenses David and Phillip give you all the relevant information you need to find the right macro lens for your Sony Alpha 7/9 series camera. No matter if you are just an occasional macro shooter or pretty serious about macro. Macro lenses allow you to capture much smaller objects so you can reach outside of our normal human perception. They can be found in many camera bags because they do not only excel in capturing tiny insects but they also perform quite well in other roles like portrait and landscape photography. You couldn’t buy a more universal prime. So which one is right for you? At first you should decide for yourself where you want to put your focus. Do you want to capture nothing but tiny insects? Or do you want to use the lens for other purposes most of the time and only capture occasional macro images? 5. What will you use it for? The typical measure for how small the subects you can capture will be is the reproduction ratio. 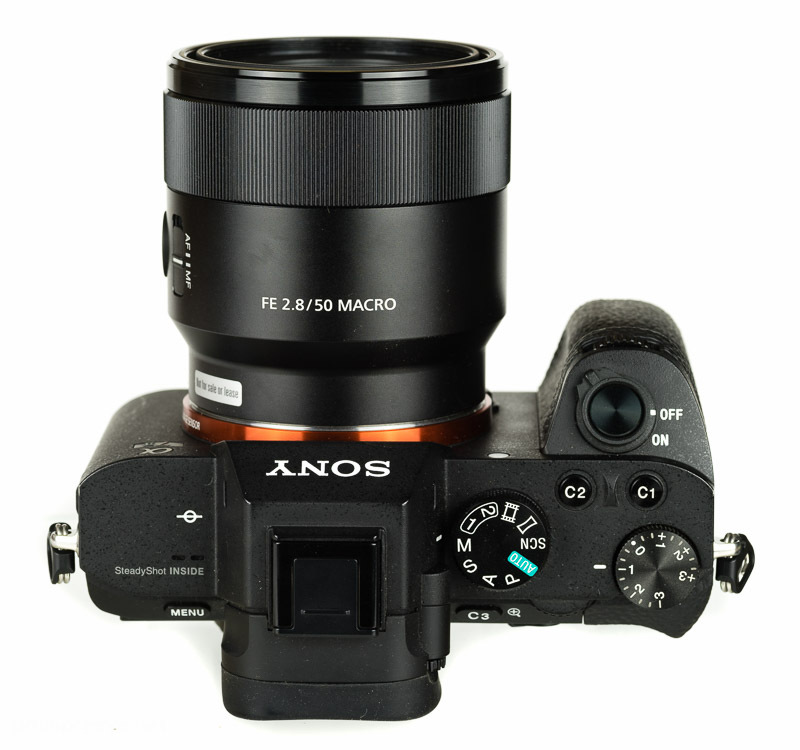 A macro-lens with a maximal reproduction ratio of 1:1 used on a Sony a7 series camera will allow you to fill the frame of an object which has the same size as the sensor which is about 36x24mm. This reproduction ratio is called life size. On a 1:2 lens your subject can be as small as 72x48mm (half life size). There are also lenses with a magnification ration greater than 1:1 which usually can’t focus to infinity. 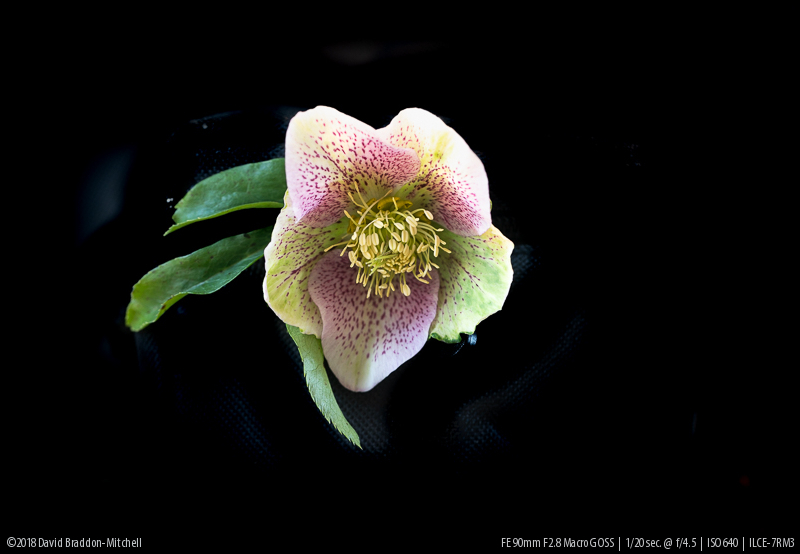 Here is a series of images of a Hellebore flower to give you a sense of the magnifications. The series starts at 1:5 which is the kind of magnification you might get with a non-macro lens which nevertheless has closer than usual focus. You can see you get the whole flower. The series then goes to 1:2, the magnification which is the best some “macro” lenses can achieve. The jump to life-size, 1:1 is a dramatic change in the image, it no longer looks the way it is easy to visualise with the naked eye. The next two magnifications are twice life size (2:1) and five times life size (5:1). 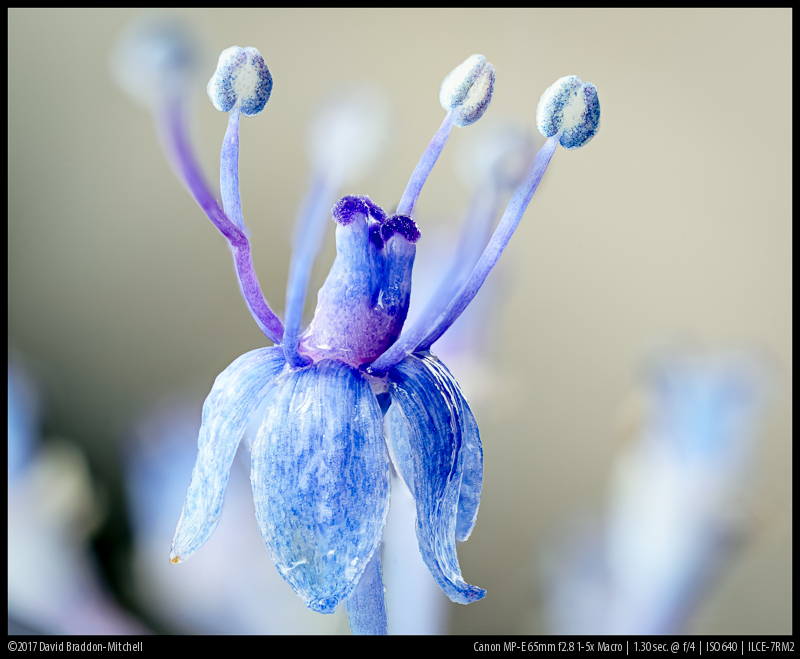 These are only achievable with specialists macro lenses that generally can only be used in the macro range. The distance between the front of your lens and your subject is called working distance. If the front of your lens gets really close to your subject you might make it flee or cast a shadow onto it. So to capture subjects like insects this is a pretty important measure. 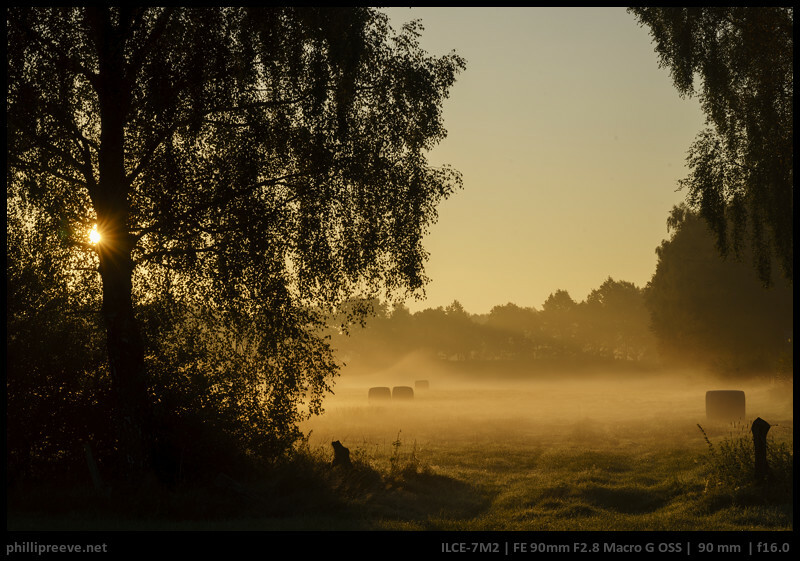 In general lenses with a longer focal length have more a longer working distance. Since many lenses have a shorter focal length when focused very closely working distance can vary greatly between lenses of very similar focal length. I was lucky that the butterfly wasn‘t shy because I had to get really close fore this image. As we have seen the longer macro lens gives you more working distance, and some say that the longer the general. But we should not ignore the fact that perspective plays a part in macro just as it does with normal photography. Longer lenses give you a flattened perspective (think of how a long portrait lens flattens faces, for better or worse). Shorter lenses make you feel you are an ant, right there in with the tiny items you are photographing. This is why one of us uses a 35mm and sometimes a 15mm macro along with the more usual lengths (50, 90, 150). Auto focus is not really a good idea in the macro range. Very often you will want to set the magnification and then move the lens to focus, and the danger with an AF lens is that focus may shift, even if you lock it. It’s also easier to magnify the image and get exactly the part you want in focus with manual focus than moving the AF point, using AF, locking it, and then checking to make sure it was correct. Before deciding what to buy, you need to think about what you want it for. Different types of lens are appropriate for different sorts of subject. You also need to decide just how technical you want your macro photography to be. Some lenses require that you work like you would in the lab, rather than free and easy shooting. 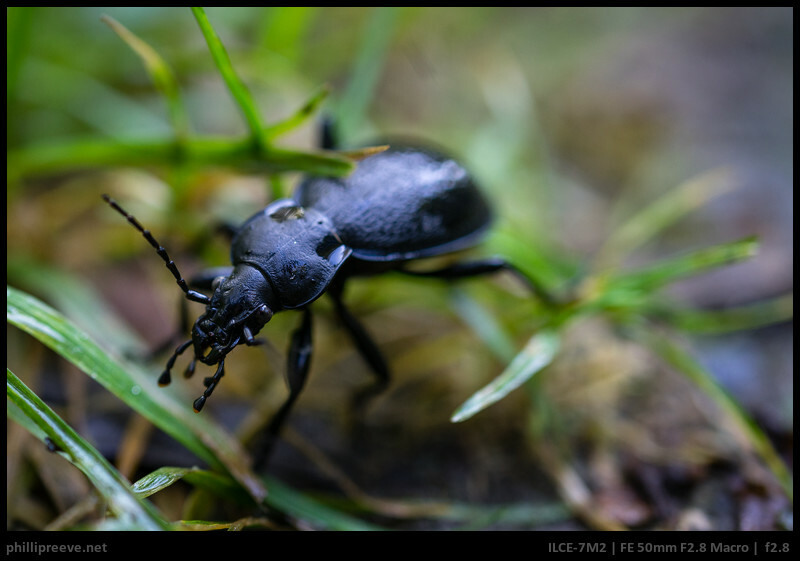 A common use for macro is for photographing insects and small animals in the field. This is a use for which working distance is a real issue, so longer lenses around 100mm (90-120) are indicated. Of course even longer, like about 150 or 180mm could be good, but you need to be aware that macro lenses of these focal lengths get very large and heavy indeed. 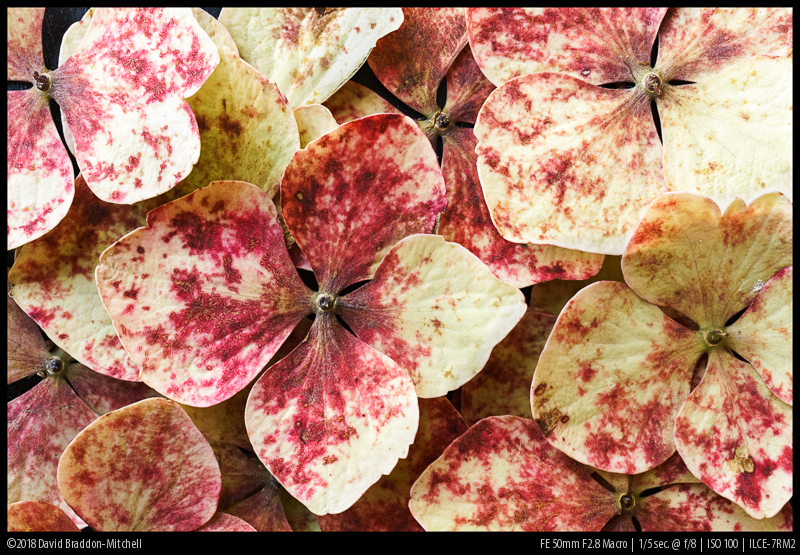 If it’s plants that you care about; say flowers or parts of flowers focal length is less crucial. If half life size is enough for your purposes an inexpensive 50mm macro is all you need. If you want life size, it would do as well, so long as you take into account the working distance issue. Recommendation: This is one of the more affordable Sony FE lenses which results in a few operational compromises but no real optical compromises. For many macro applications the focal length and working distance of just 45mm from the front of the lens at 1:1 will be a limitation. Recommended to those who want a light and affordable hiking lens for closeups in nature. Recommendation: Optically this is one of the very best lenses you can buy today. It is a manual lens which some (like the authors of this blog) see as a bonus but many will see an issue in this. Since it only focuses down to 1:2 we would recommend it more as a general purpose lens which can also work well as a macro lens for some applications than as a dedicated macro lens. The Sigma just became available so we can’t tell you anything about it’s performance yet. Sigma has gained a very high reputation for their Art series so far so we would be very surprised if it didn’t play in the same league as the Sony 2.8/90 Macro or even approached the Voigtlander 2/65. It sits right in the middle of the Sony 2.8/50 and 2.8/90. In weight and size it is closer to the 2.8/90 while the price is much closer to the 2.8/50. Recommendation: If you are more serious about macro work this is your best lens in the system but it also works well for landscape and portrait work. 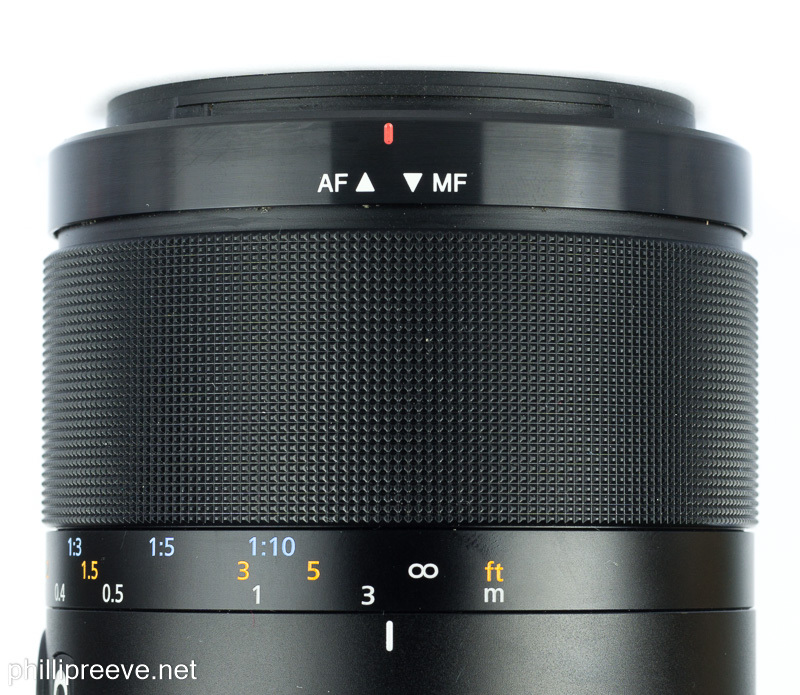 This manual focus lens has not reached the market yet but is available for preorder. Unlike the 2/65 it will focus down to 1:1 but we know little more about it apart from the fact that it will be a manual focus lens. So far we know nothing about the performance but since the Voigtlander 2/65 is such a spectacular lens our expectations are quite high. Recommendation: If you are on a tight budget the small Olympus can be an attractive solution. It comes with a few compromises but those won’t keep you from getting good results. Recommendation: This is one of the finest legacy lenses you can buy and a joy to use. It comes with one significant drawback and that is weak flare resistance. Recommended if you are on a moderate budget and enjoy manual focus. We haven’t used these lenses personally but have heard good things about them from usually reliable sources. 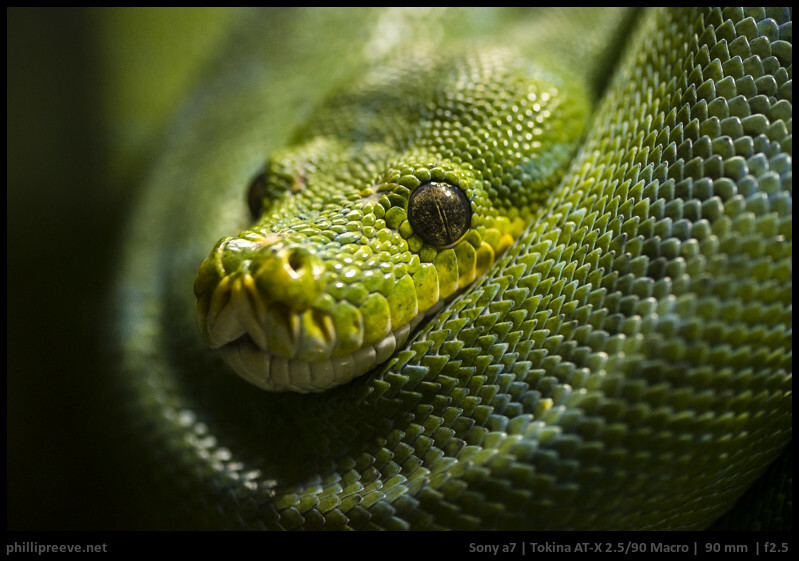 Tamron SP 2.5/90 – A more affordable alternative to the Tokina 2.5/90. 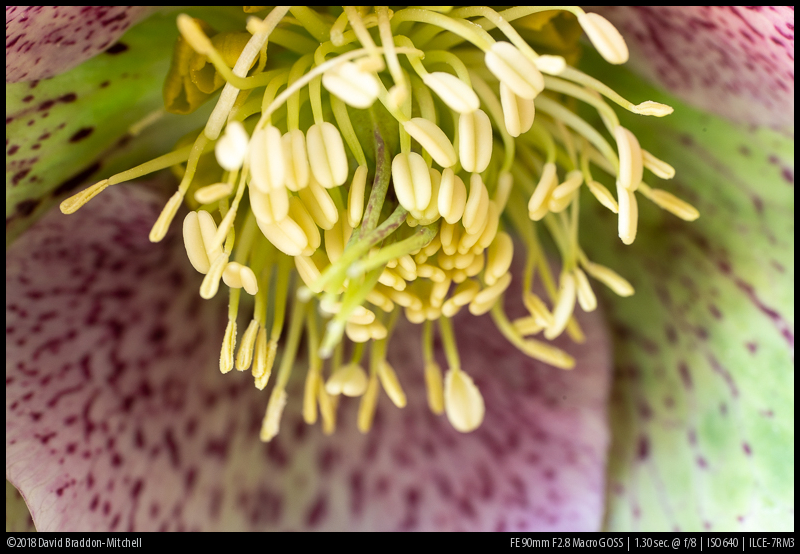 Nikon 2.8/55 Macro – Seems to perform a bit better than the slower but smaller and cheaper Olympus OM 3.5/50. This classic Canon macro lens adapts well on the Sony system. Based on just one copy of each, it has marginally less microcontrast and resolution in the close macro range compared to the Sony 90, and perhaps a tiny bit more at infinity. It’s still a touch less good than the Sony at portrait type distances. Realistically though these are small differences which won’t affect your images. We would recommend the Sony 90 just because it’s native and handles a little better, but if the Canon comes up at a good price it is a very fine option. The older non-L EF 2.8/100 is almost as good, and can be had at a very low price if you look, and is perhaps the best budget short tele macro to be had if you don’t mind adapting. It’s worth adding that Nikon made short tele Micro-NIkkor lenses that were well thought of, and perhaps as good or better than the older Canon. None of us have any first hand experience of these, but if you find one at a good price it might be worth experimenting. This is a large and heavy lens, but it adapts well with the MC-11. Its longer perspective suits many images, and the extra length gives useful working distance. There are two versions, this one and the earlier non OSS version. Some reports claim that that the earlier one is slightly better, others that the later one is. We think probably this is all down to sample variation and it’s hard to say which is to be preferred, though the later one may have better coatings, and the OSS works well in combination with Sony IBIS using the adapter to give stabilisation which works well for non-Macro purposes. It’s a very good sharp lens, and both David and Bastian use it for long macro purposes. The Sigma 180mm macro lens is a little better still, but it’s much heavier even than this lens, so we think the 150 is probably the best overall trade-off for a long macro. The Canon and Nikon longer 180-200mm macro lenses are fine, but they are older designs, not quite as sharp, big and heavy and generally more expensive. They are under $200 used. You will have to use them on an adapter and compromise on quite a bit on handling and a little on wide open performance. But for macro images they are excellent performers. We haven’t tested these but they might fit your needs. Olympus OM 2/90 – Only 1:2 and some CA but sharp and nice bokeh while being not that large. Not good but still reasonable price/performance ratio. Mamiya 120/4 A – pretty big since it is a medium format lens but reputed to be a good performer. These lenses enjoy a somewhat legendary status. Whenever we have tested “legendary” lenses in the past though we were a bit disappointed and we are pretty sure that a Sony 2.8/90 will actually give you a better performance especially at macro distance. But that’s not all that counts for many. We haven’t tested any of these so take our short comment with a grain of salt. 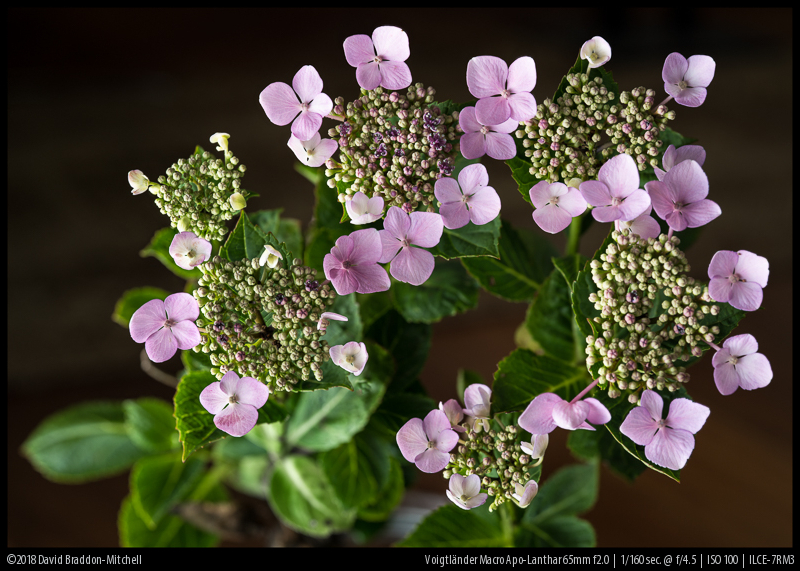 Voigtlander APO 2.5/125 – very good CA correction and bokeh but expensive and not that reliable. 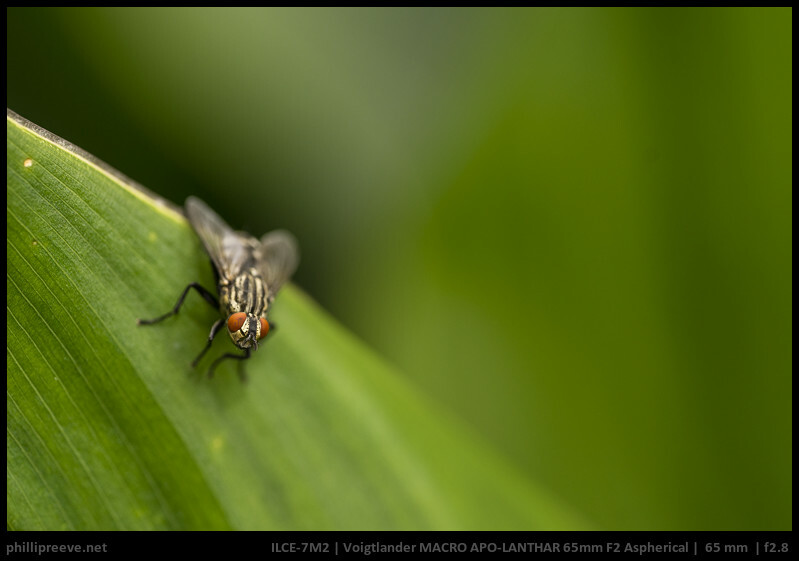 Leica APO-Macro-Elmarit-R 100mm f/2.8 – Good but not great CA correction and notable focus-shift. Coastal Optics 4/60 – Excellent CA correction even outside the visible spectrum. Bloody expensive. This may seem to many a cumbersome lens, but for the high magnification macro photographer it made things so much simpler. Before this, we typically used a bellows unit, and a set of specialised lenses optimised for different magnification ranges. The Canon MP-E is one lens, which can set to any magnification between life size and 5x. It’s not an easy lens to master. For one thing, it performs best wide open over most of it’s range, perhaps best at f4 for life size work. This is because at these magnifications diffraction sets in very early. This exacerbates the depth of field problem which is already there due to the high magnification, and makes focus stacking essential for anything except a deliberately arty ultra thin DOF look. But for anyone prepared to work slowly and deliberately, it’s the tool of choice at these magnifications. If you want to save money, and are handy, old enlarger lenses mounted on helicoids or bellows are an alternative, and we look forward to checking out the new Laowa. Convenient compared to bellows etc. 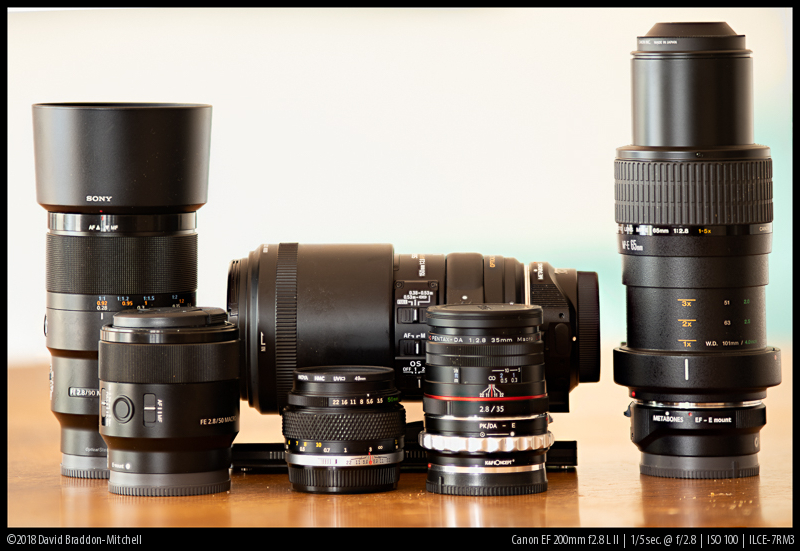 Large and heavy compared to generalist lenses. Laowa is known for unconventional lenses and their first lens is no exception since it is the only macro we know of which allows both a magnification of 2:1 (twice life size, not half) and infinity focus. We haven’t used it ourselves but going by other people’s reviews it seems to good a decent performance at macro distances when it is stopped down but comes with severe vignetting and distortion at longer distances. Since it is rather affordable it could be an attractive option for some none the less. Just released we have no experience with this lens but it allows you to take extreme closeups at 5:1 to 2.5:1 for a pretty low price. Some super high magnification macro lenses have short focal lengths like 20mm, but for reasons that need not detain us this doesn’t mean they are really wide angle in the ordinary sense. 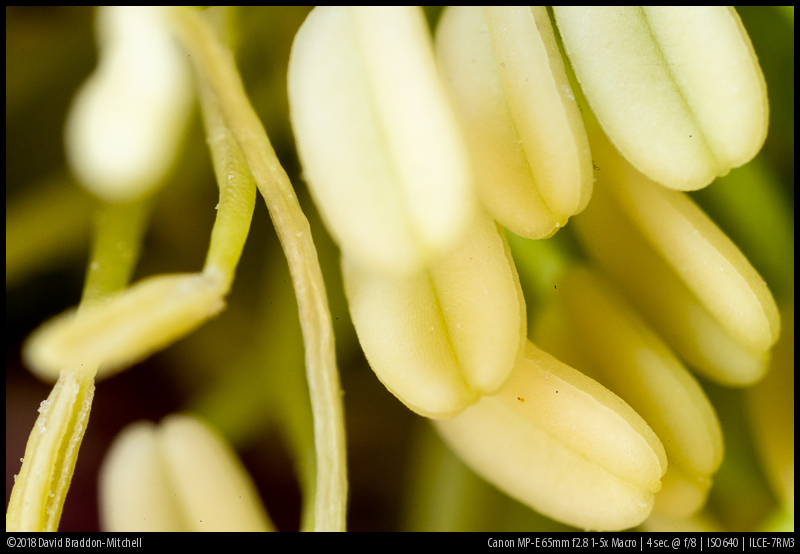 By wide angle macros here we mean ordinary macro lenses up to 1:1 which are wider angle than a ‘standard’ 50mm. Why would you want one? The usual orthodoxy is that working distance—the distance between the front of the lens and the subject—is critically important, and usually the longer the lens the greater the working distance. 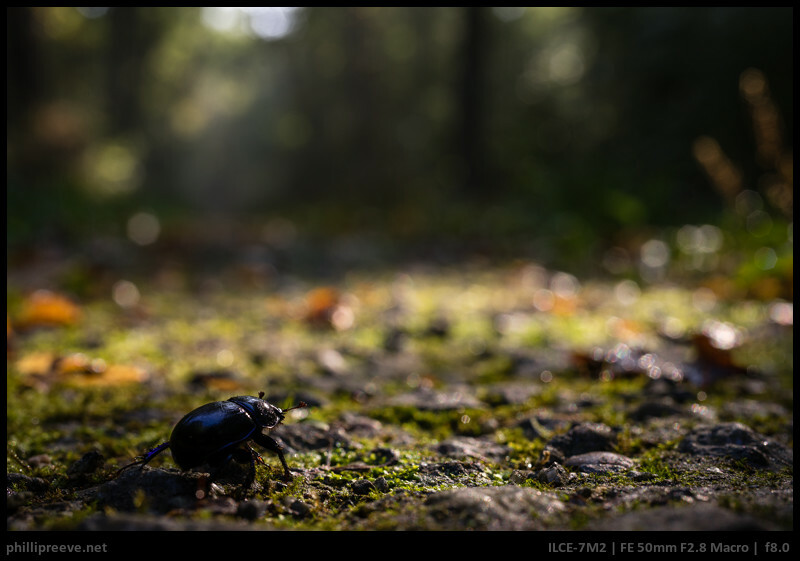 People often complain that 50mm macros have not enough working distance. A 35mm will have less. So, again, why would you want one? Well the working distance does make it a bit harder to handle, but being a bit closer to your subject gives you an “involved” perspective, and slightly more sense of the environment which can be very nice for some images. It wouldn’t be your first macro, but if you are already keen, or become keen, we recommend one. But no-one makes one for full frame! You have two choices; play with a wide enlarging lens on bellows or tubes, or adapt an APSC lens. The second is easier. 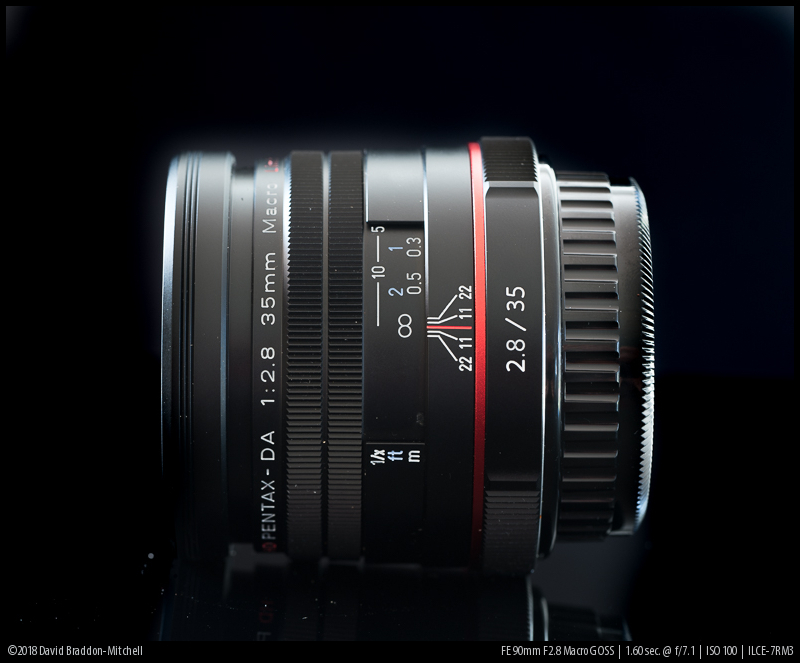 Camera makers produce 35mm APSC lenses because they are 50mm equivalent on an APSC body. But at macro distances, these lenses often cover the a full frame sensor with good results. Our prime recommendation here would be the Pentax HD 35mm f2.8 macro, which on a decent adapter gives good results. If you want to save some money, the same optical formula is used in a Tokina lens whose main drawback is terrible coatings resulting in bad flare, but in some light that may not matter. Maybe there shouldn’t be a plural here. There’s only really one: The Laowa 15mm f4 macro. It lets you get really close (at 1:1 the subject will brush your front element) which can give you some really interesting perspectives that you can’t get with the usual focal lengths. We shouldn’t finish this roundup without saying something about the two Zeiss Classic (available rehoused in heavier but more sealed bodies as Zeiss Milvus) Makro-Planar lenses. There is a 50mm f2 and an 100mm f2 version. Both only focus to 1:2, but are very sharp lenses and were legendary, state of the art, designs when they were first introduced many years ago. They are still very sharp lenses with nice bokeh. But no longer head and shoulders above the competition, and the price is not low. The 50mm version is somewhat overshadowed by the CV 2/65 we review above: this lens is noticeably better than the classic Zeiss 50, which was in turn a better lens than the 50 macros of its day. The Zeiss Makro-Planar 2/100 lens is super sharp, but suffers from a bit more longitudinal CA than we would ideally hope for nowadays. The Sony 90 is cheaper, a little sharper at macro distances, has less CA and focusses to 1:1. The new CV 110 will likely overshadow the Makro-Planar 100 for the lover of true manual focus, though obviously this remains to be seen. All that being said, both are beautifully built and excellent optics, and are both good choices as general lenses in their focal lengths. If you can find one at a good price, lower than the competing lenses, and don’t mind adapting, they are still fine choices for someone not looking to focus closer than 1:2. If you only occasionally need to focus close, or if you are travelling and don’t have room for your macro lens, you can consider adapters that allow you to focus closer. The two most well known kind are extension tubes, and close up lenses. Extension tubes contain no glass. They are just tubes that go behind the lens, pushing it further out that it’s own helicoid can manage, thus making the lens focus closer. Some people think that because they contain no glass, they must give better IQ that lens elements you add to the front of the lens (like so-called “close up filters”). This is not necessarily so. Extension tubes make the lens focus close. If the lens if already not performing at its best at its native close focus, pushing it out further to give close focus may not give good results at all. It’s not hard to tell. If your main lens is fantastic at its closest focus, you can probably add a short tube and it will still perform well. But if it’s already a bit ropey at minimum focussing distance, you may need a close up lens. Close up lenses change the optics of the whole system, to allow focus at various distances governed by the focal length (usually expressed as a diopter rather than a distance) of the close up lens. Because they (for a fixed lens position) have the same focussing distance regardless of the lens focal length, they give more magnification with tele lenses than shorter ones (the distance is the same, so the longer the lens the more the magnification). Why can they give better results than tubes, despite adding lens elements? Because they allow the main lens to be used at the setting it works best at. You can se the main lens to infinity, and the close up filter may make it focus much closer. Although the filter will introduce some aberrations, this is more than compensated for by the main lens working well, rather than at its own MFD setting, where it performs poorly. All this, though, is assuming that you are you using a good quality two element achromatic filter. The cheap single element filters will produce colour errors, and poor sharpness outside the absolute centre. Our basic recommendation: if your lens performs well at it’s current closest focus, try a tube. Otherwise use an achromatic two element close up lens. Also, for longer lenses the achromat may be a better idea for macro purposes, and for shorter ones a tube may give more magnification. You should also bear in mind that tubes reduce the amount of light at the sensor whereas front filters don’t, though the exposure tools on Sony cameras deal with this automatically. One brief extra bit of information: if you divide 1 by the number of diopters of the achromat, you get the rough distance the combination will focus when the main lens is focussed at infinity. So a 1 diopter lens will focus at 1/1 = 1 metrs. A two diopter lens at 1/2 = .5 metre, .5 diopter lens at 2 metres and so on. If you focus the main lens closer, you’ll get a bit closer but not massively (you can find calculators online). This tell you why you get much more magnification with diopters on long lenses. A 200mm lens focussed at .5 metre gives a lot of magnification, whereas a 50mm lens usually has a native close focus that is a touch closer than that, and a wide-angle is grieving very little magnification focussed at .5 metre! There is a lot more to be said about achromats, but that may have to wait for an article of its own. The least bad tubes are ones you can get for Sony are the Kenko ones; they at least have good flocking so will not generate reflections like many others. There are many good achromats around, but the Marumi 3 diopter and 5 diopter ones are affordable, decent, and come in useful sizes. Probably the best are the Raynox DCR-5320PRO, which comes as a 2 diopter 2 element lens, a 3 diopter 3 element lens, and can be stacked to give 5 diopters. But they are only available in 72mm, are large and heavy, and expensive. As usual there is no best solution for all needs. The Sony G 2.8/90 will probably cover the widest range of requirements but in the ends you should check what is actually important to you. Phillip for example sold his G 2.8/90 and went for the Voigtlander 2/65 instead because, while he appreciates to be able to focus a bit closer, his focus isn’t on macro but on other applications. David on the other hand has to explain why two shelves of a dry cabinet are devoted to macro gear. We hope to have helped you with your decision. If any questions remain don’t hesitate to leave us a comment. I would have mentioned also the Minolta AF 100mm F2.8 Macro as a ‘cheap’ alternative for the Sony G 2.8/90. Can be used for landscape, portraits (with sony’s AF adapter), macro. And also there is a brand new Mitakon 20mm f/2 4.5X Super Macro Lens for 200$. We haven’t used the old Minolta/Sony A and we usually only mention lenses we have some experience with; people we trust say it’s good, but that the older Canon one is just as cheap and a touch better. But none of us can vouch for that directly! Certainly, though, the latest incarnation of metabones works as well as the A mount adapters, so there’s no real advantage to using A mount over Canon EF mount. I just added the Minolta. I wasn‘t aware of the Mitakon. Seems to be an interesting lens. Phillip, thank you for this article. I am now recognizing an advantage of using an adapted DSLR lens via an LE-EA4 vs. a native E-mount lens: the preset diaphragm. Question for you is focusing wide open vs. stopped down. Generally my nature closeups are done at f16. At this aperture DOF compromises focus precision. Mirrorless lenses are focused stopped down whereas DSLR lenses have aperture preset and are focused wide open. When working from a tripod it’s certainly possible to focus wide open, then reset aperture, shutter speed and ISO for final result. Yet when in the field, where time counts, puffs of wind reposition flowers, and bugs fly off, this fails. Even more complicated when adding flash. With the LA-EA4, the Minolta meters and focuses wide open, then stops down when shutter is released. This seems to be advantageous. 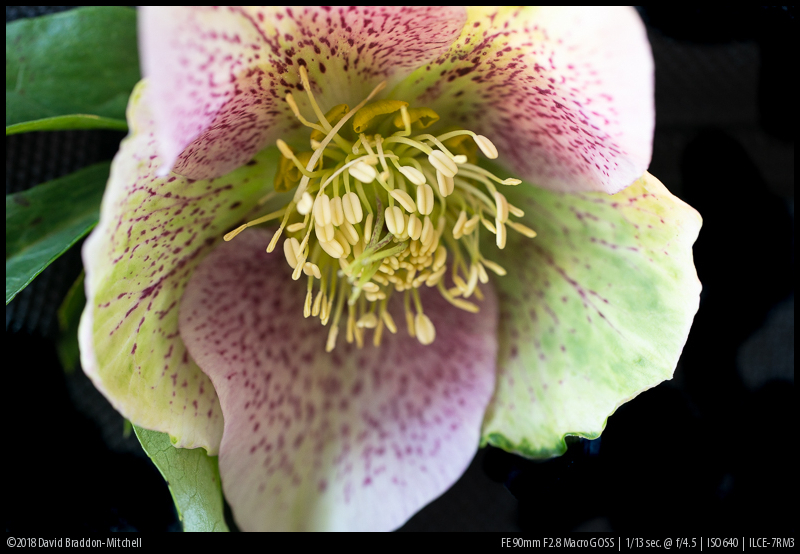 In this example created yesterday in my garden – https://photos.app.goo.gl/NYEzt2Sond1dBxMdA – exposure and manual focus with the Minolta were adjusted for the tiny image in rain drop using focus magnification w/ yellow peaking and zebra lines. Lens was preset to f/16 but focusing occurred at f/2.8. Image was reproduced at 1:1.5, then center cropped. Shadows (the stem) were recovered in Lr. I was unable to get a comparably accurate focus with the Micro Nikkor on manual Fotodiox adaptor, lacking diaphragm preset. Your thoughts on focus precision with preset vs. stopped down lenses? What is the issue with focusing wide open and then stopping down manually for such a static subject? There are advantages to focusing wide open and stopped down. Here’s a trick: with native lenses if you turn off the Live View Display Setting Effect (page 9 of section2 on the A7RIII) the camera will display the image with the lens wide open, though it will stop down to auto focus and take the image. For macro I use manual focus. The trick is if you are in manual focus mode pressing the AF-ON button or half pressing the release will stop the lens down for a preview. This works even with the focus magnifier on. So you get the best of both ways without constantly opening and closing the aperture with the back wheel. Used with focus peaking you can quickly determine both the plane of focus (assuming it doesn’t shift stopped down) and the extent of depth of field (and maybe seeing the focus shift). Just to draw a little more attention to my personal favorite: the Tamron AF 90mm f/2.8 SP Di (Canon version). Really thrilled with it, best ever price / performance ratio. Fairly lightweight, too. 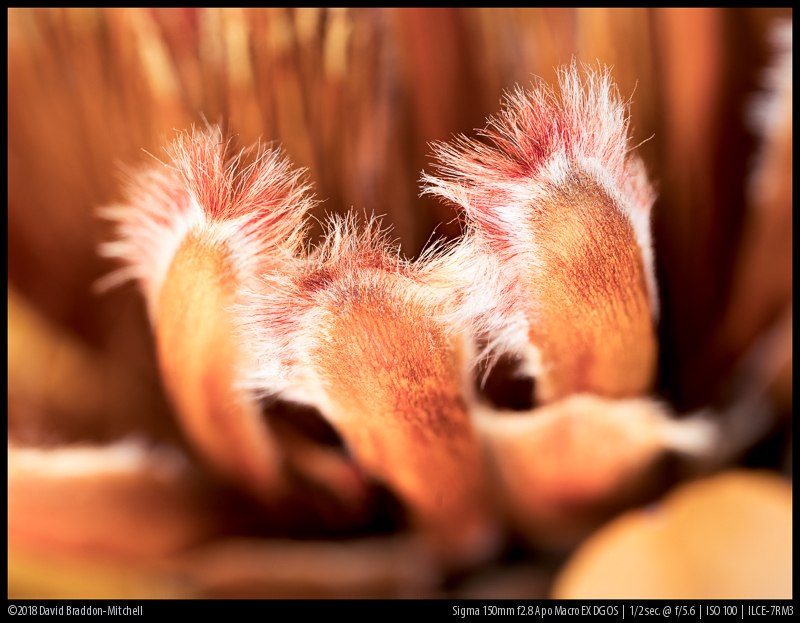 Forget about AF, but great for macro work, really nice for landscape work as well, no complaints about bokeh. Sharpness to my eyes is great corner to corner. Who needs the overpriced “Bokina” when you can have this? Anyone have experience with the older non-Di version? Same SP 90mm F2.5 for A mount. That seems cheaper on the second hand market and since I won’t be using AF anyway I wonder if the optics are the same or comparable. Thanks. Will be helpful to give 1:1 and 1:2 distances from the sensor. I have the Laowa 2.8/25 2.5-5x Ultra Macro. The lack of EXIF is a pain, I’d like to be able to view back the f stop so I can learn from mistakes, but this is a minor gripe. It seems well enough built. On another note, while not exactly macro, I have found for larger insects like butterflies and dragonflies my Sony FE 100-400mm f/4.5-5.6 GM OSS with 2x Teleconverter is far better than my Sony 50mm f/2.8 Macro. It can focus at just under a meter giving around a 1:1.3 with the teleconverter on, and 1:2.6 without. Cheaper alternative to the Tokina is the Vivitar Series 1 version. Flare resistance is a little worse but in macro situations you should be able to work around this. I paid $150 for mine with the 1:1 adapter. It’s not always this cheap but it’s usually quite a bit cheaper than the Tokina version. I have used the Tamron Adaptall-2 SP 90mm f2.5 (both 52b and 52bb variants) with superb results, the original 52b all metal and glass version still feels amazing to use even at pushing 40 years old. Sharp enough to my eyes wide-open across the frame at landscape distances, and sharp as a macro. I managed to pick up a mint copy for just £35 and nothing will touch that value-wise. I may now be selling as just bought a Voigtlander 65mm f2 as it offers sunstars, better flare resistance and a nice ‘walk-around’ focal length as a do-it-all portrait, landscape and flower lens. Never heard about that one but seems to be interesting. where did you get it for 200? 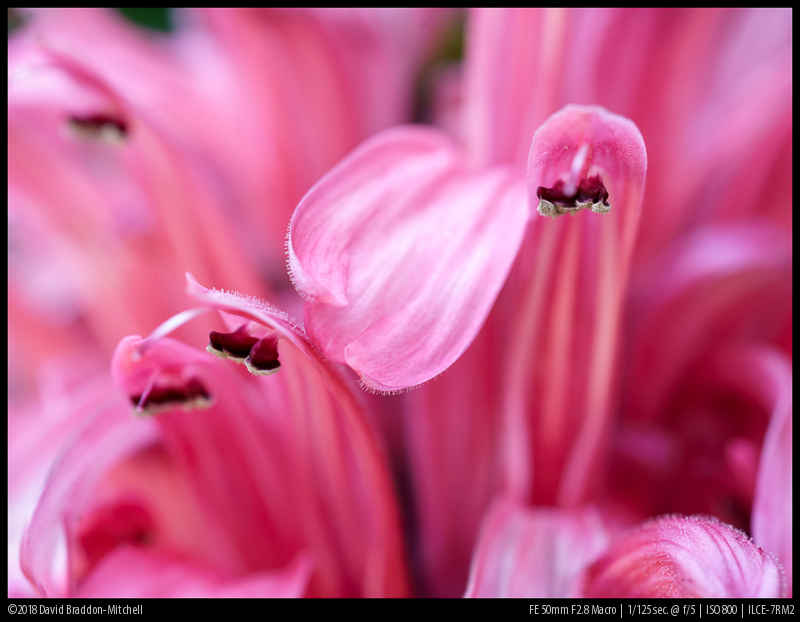 Another thought on extension tubes vs. close up lenses. Extension tubes require you to adjust your exposure for getting to 1:1, but close up lenses do not. 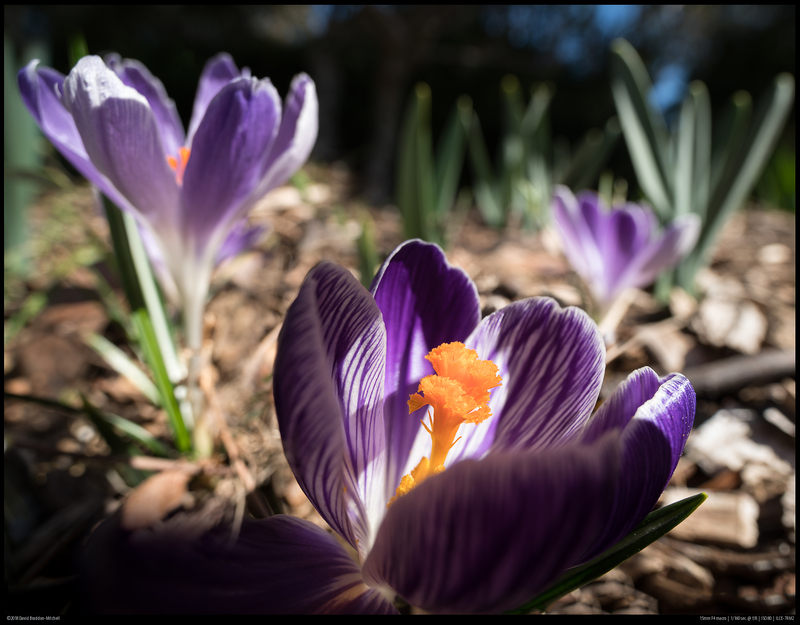 Also, the longer the focal length, the less useful extension tubes are and the more useful close up lenses become…and vise versa for shorter focal lengths. I’ve tested its centering issue with your method, and I’m quite happy with that. A well balanced description of the FE 2,8/50 Macro. I love that lens since I have decided that this little electric AF motor is no problem to me. Yes I’m very fond of it. It’s a go to lens for me if I’m doing multi day hikes and I want some macros on the way. Plenty sharp enough for landscape, very good macro, eye af works fine for informal snaps of my companions (though bokeh at portrait distance isn’t great) and a good basis for stitching to get wider images. And so light! 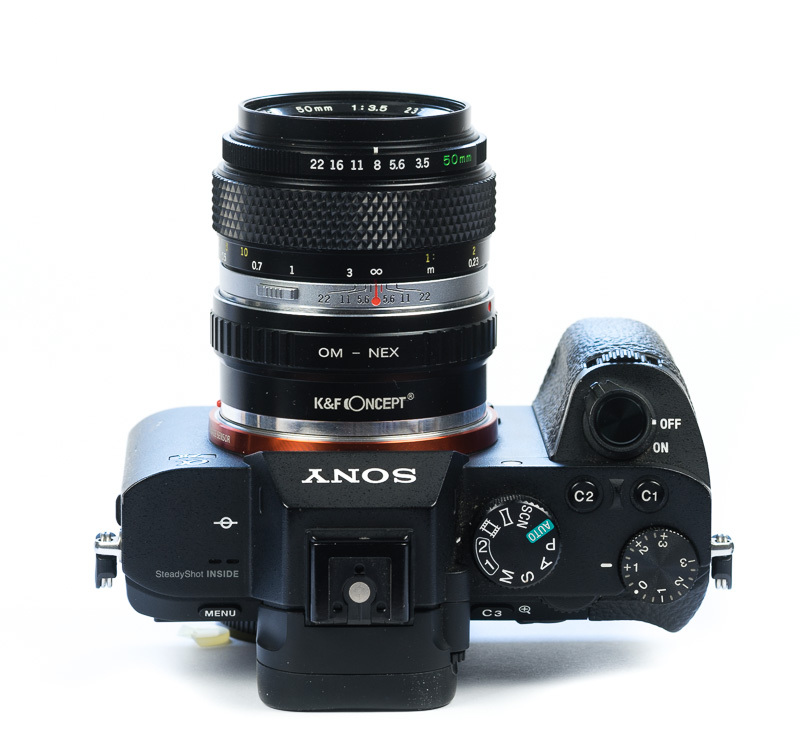 What is your opinion on the Zeiss Makro Planar 100mm f/2.8 T Lens for Contax/Yashica? Do you know if it is 1:1 or 1:2? Jannik owns one and likes it. It isn’t a great choice for 1:1 work though because it can’t maintain the good correction it has at longer distances. If you already own one or can get one for a good price you should be able to get nice images out of it but I probably wouldn’t pay what is normally paid for it on ebay. Thx. At the moment I see prices around 600€. (ebay.de) too much for too many compromises..
Oops what Phillip says is right. I was thinking of the S-Planar 100mm (and 60mm) C/Y lenses, which were macros optimized for close distances. 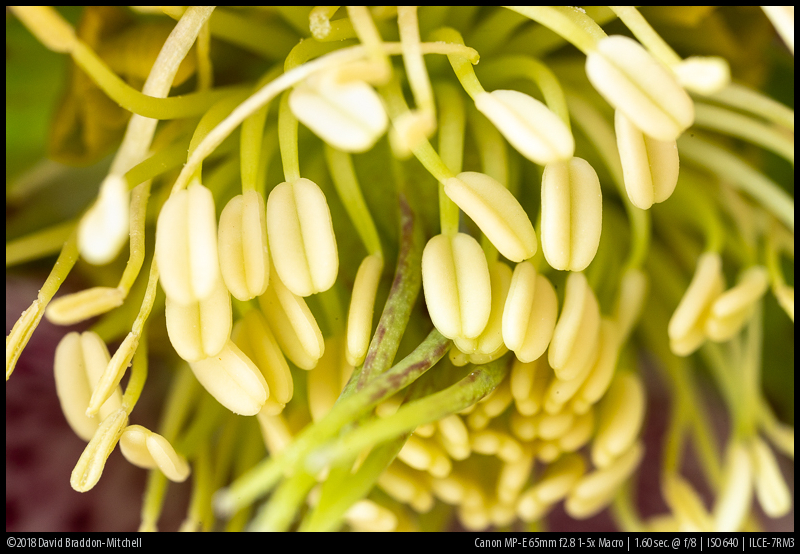 It is interesting to see that bellows lenses like the Canon 35mm f/2.8 MacroPhoto beat the MP-E 65mm in terms of image quality. Moreover, even very cheap microscope objectives thoroughly trounce the Canon MP-E 65mm’s resolution at 5x magnification. Dunno about cheap ones, but yeah a reasonable plan or APO plan microscope objective will do better at 5x and you can get 10x with good results. But it takes a lot more work and DIY and the MPE gives you easy dial up from 1:1 to 5:1. Line scan lenses, scanner lenses, machine vision lenses, and inspection lenses routinely beat the MPE at less magnification such as 1:1 and 2:1. For example in the 2:1 comparison test (https://www.closeuphotography.com/2x-lens-test) the MPE is the worst of the bunch, despite being the most expensive. For each of the reviews of the lenses, he also provides the tubes and stuff necessary to get it mounted on his E-mount Sony a6300. It’s true that it’s more work, but studio macro work at 1:1 and above requires a lot of work anyway. The tubes and adapters to mount these lenses are usually very cheap on eBay. Sure they do; and I use an adapted machine vision lens adapted myself at time; as well as microscope objectives on a tube lens. But for this article we were interested in lenses for beginners, and even though the work required to use these is not great, it would be think intimidate beginners, so our coverage was restricted to all in one solutions. We even wondered whether the consider high mag macro at all, given that even using something like the MPE its maybe out of the scope of beginners. We might do a more advanced article eventually, but it would be me doing it since I have more interest in this kind of thing, but there are already lots of great sites out there covering this (the one you mention is one of them) and I’m not sure we’d have much to add. Some of the OM Zuiko legacy macro gems (e.g. Zuiko Auto-Macro Lens 135mm f/4.5 attached to Telescopic Auto Tube 65–116) are still available at the used market for modest prizes. 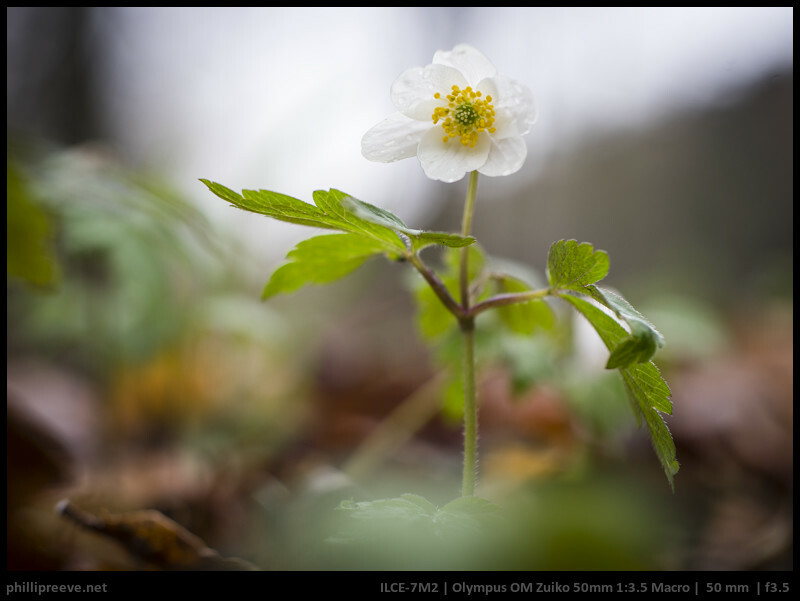 The Zuiko Auto-1:1 Macro Lens 80mm f/4 can be recommended for copying slides, BW negatives and so on. I use most of them on a Sony A7r and Olympus MFT cameras. How about enlarging lenses, eg Fuji Ex, Nikkor, Rokkor CE? Today it’s easy to find an FE adapter with some focusing, plus a tube to give a limited range macro. I had good results a couple of years ago with Fuji EX and ES. But, as I’ve said to others, the article was meant to cover all in one solutions for beginners. 2; flat copying of analog prints, slides, etc where bokeh won’t matter but resolution, contrast and CA across the field are crucial. For macro use the Componon-S 50mm is very good and the best enlarger lens I have (there’s a guy in Spain who sells adapters for it to be reverse mounted on M42 helicoids) giving nice results from 1:1 up to twice life-size if you can be bothered. I don’t however think it’s better than the MPE, perhaps less corner resolution, and less convenient. I haven’t tried any of the really high end one like the APO-Componons. But it can be got at a good price, and for those who don’t mind the DIY hassle it’s a good choice. Bokeh is not the strong point: but at high mag I often use f2.8 and focus stack; or sometimes focus stack a couple of stops down and blend in an f2.8 image for the bokeh. The Zeiss C/Y Makro-Planar 60 mm/2.8 is also worth mentioning if you can find it at a good price. And I can vouch for the Minolta AF 100/2.8. Decently sharp, nice colors and works good as an allround lens. What about the Canon FD 100mm f4 Macro? its slow and only 1:2 but probably a bargain? Great post, didn’t know about the pentax DA. 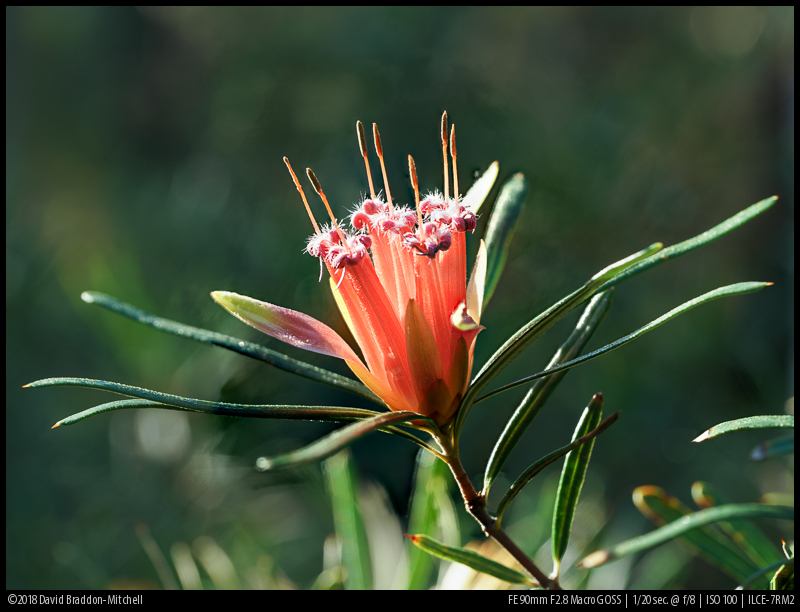 I tried the Bokina and it is an excellent lens, but the Tamron 90mm is as sharp and a lot cheaper. The Bokina has a smoother bokeh, but not that much. I love my Minolta 50mm macro, excellent lens. The FE90 is focusing way too slow for my taste, for a native FE lens, but very sharp. It’s focusing even slower than the Canon 100mm L with the MC11. If one’s got the money and needs the reach, the Minolta 200mm F4 can’t be beaten. All time favourite’s the CV 125, though, and it’s hard to imagine that CV can beat that with the 110mm, but we’ll have to see. I’d love to see Sony come up with a fast focusing 150mm macro I could use underwater, but that market’s probably too small. Is the Laowa 15mm f4 lens in E mount good for astro photography as well? How would it perform when compared to Sony 16-35 f4 ZA and Rokinon 14mm f2.8? No it doesn’t perform well at infity and is also slow for astro photography. 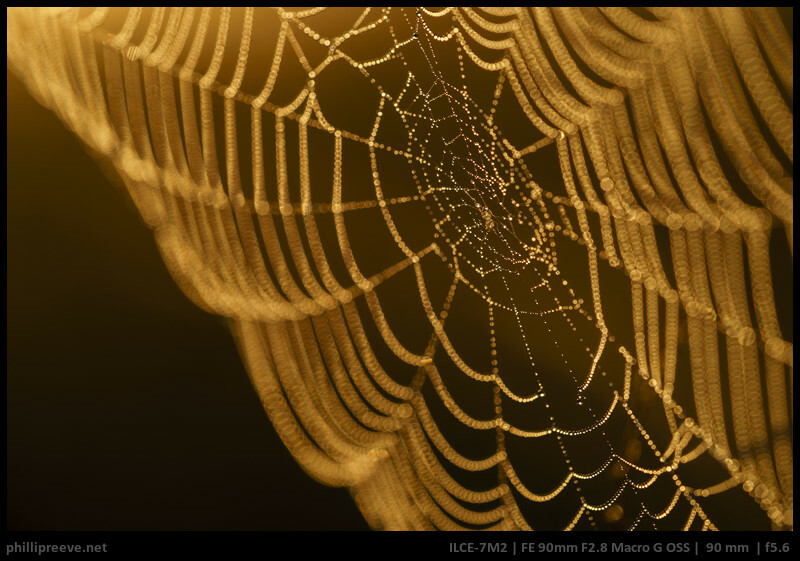 Indeed, the Tamron AF 90mm/F2.8 SP Di Macro (Version 272E) is an outstanding performer and very versatile. Most probably the best what you can get for little money. I’ve got the Minolta/Sony A-mount version already for my Sony A850 and use it nowadays via the LA-EA4 adapter on the Sony A7R II. It covers macro up to 1:1 and can also be used for portraits (very appealing and smooth bokeh) and general or landscape shooting. I didn’t find any weak point up to now and would never change it to any other lens, not even to the so much appraised Sony FE 90mm/F2.8 macro lens. I doubt that you would see any difference in real life photography, maybe not even in “pixel-peeping” mode. Moreover, the 55 mm filter thread of the Tamron fits perfectly to the Minolta R-1200 macro ring flash which is the only one which works perfectly in TTL-mode on the Sony Alphas. The Sony lens with 62 mm filter thread is therefore definitely second choice. and use it with a7r2. I also have this flash since it came on the market but have connected to my Sony A7r3 for fear of overloading the the trigger. 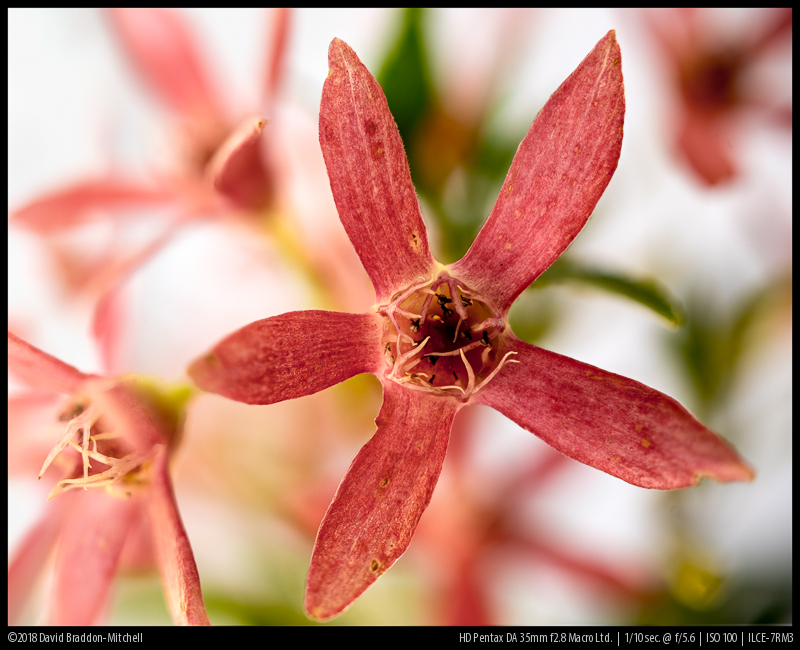 Could the Zeiss 85/4 Tele-Tessar be made to work for macro? My limited macro efforts involve only static objects (mineral specimens and slide copying). I’ve been using a Nikon 105mm f/2.8 VR macro with a dumb adapter to an A7R III, but the combination is rather large and clumsy. The little Zeiss lens is quite sharp–might it also be (nearly) as sharp as dedicated macro lens at 1:1 with the appropriate tubes? I think the Sony 2.8/50 is ideal for that. It’s relatively cheap, and goes to 1:1 which you need for neg duplication, and much sharper at 1:1 than classic ones. It also works with the Nikon ES-1 slide duplicator (or the more convenient but much pricier ES-2) (you may need to make or buy a frame for negatives). I’d certainly recommend some kind of duplicator arrangement. 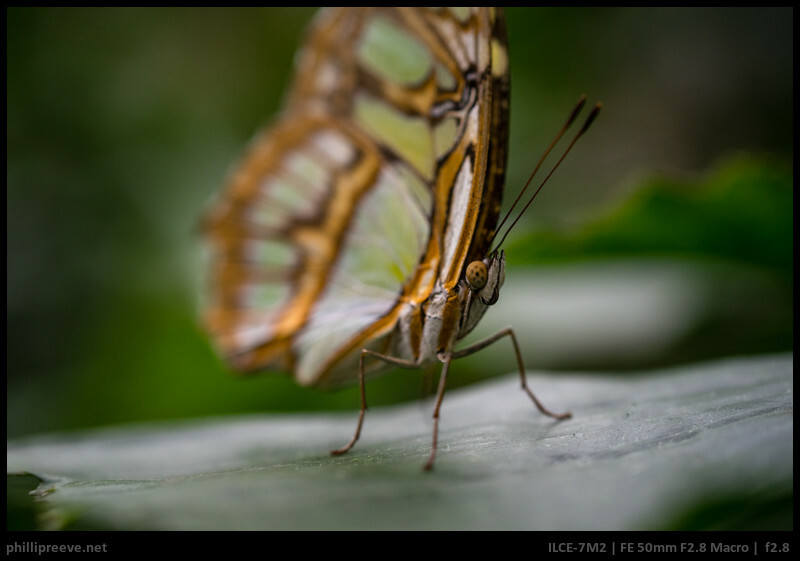 The Loxia 85mm 2.4 works very well with an extension tube, have a look at this article. Would you stick out until 2019 with £850+ sat in somebody else’s account – as I can have the loxia tomorrow !!! 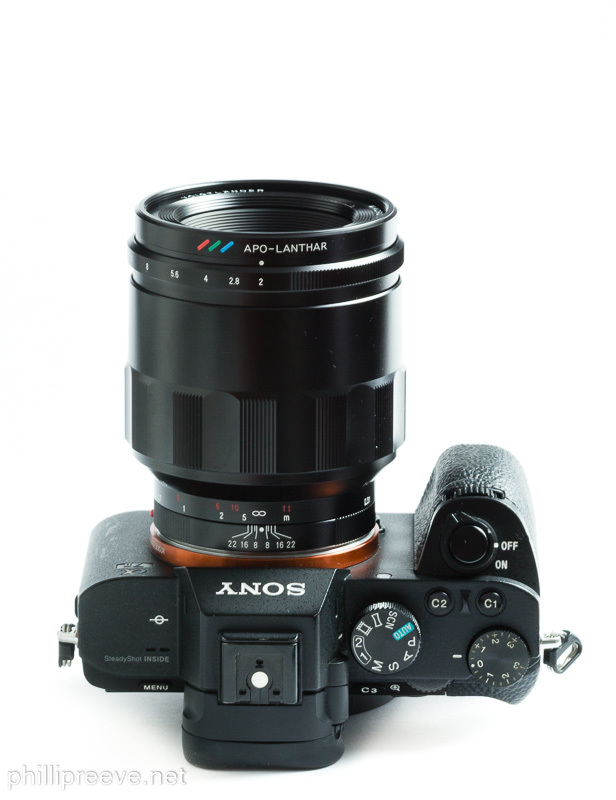 Personally I prefer the rendering of the Loxia 85mm 2.4 over that of the Voigtlander 65mm 2.0, but obviously I have no idea yet how it compares to the 110mm 2.5. For me adding an extenstion tube to the Loxia 85 is all I need to get closer, but I am not a regular macro shooter. I have the loxia 21mm 2.8 & love it !!! Particularly the range of f stop sharpness & the colour management !! I would love the longer focal length of the 110 – do you think it is that significant 110 / 85 – my most treasured old lens was a 75 – 150 zoom & I always found myself cropping & operationing at about midway !!! However – that was before lightroom & all in camera !!! 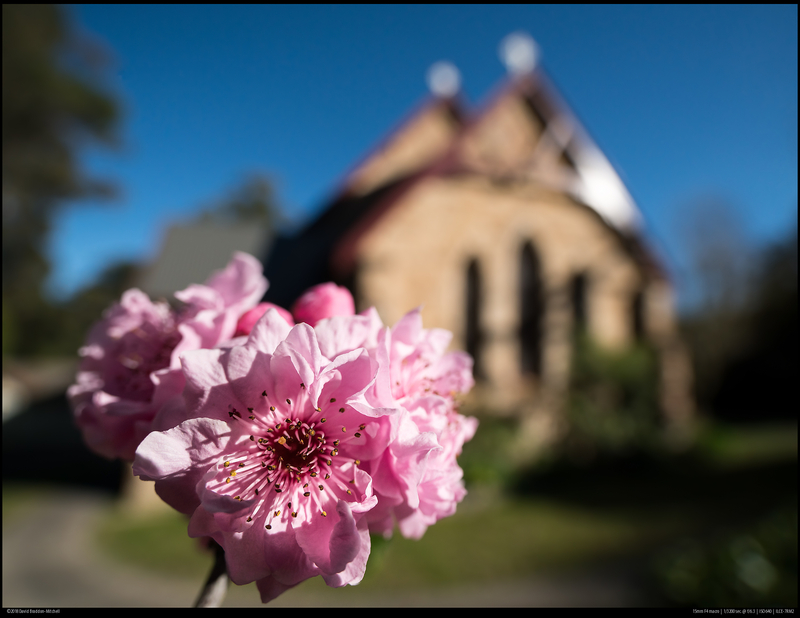 With 42mp & modern lenses – a bit of cropping for intimacy / deeper into view into the subject won’t really hurt !! It’s a brill lens & such a useful range – I have cleaned it up & bought a Pentax k – Sony mounting adapter & am having a play !!!! It’s also still got the uv filter that I bought – 1979 !!!!! This lens – a 500mm mirror – a 50mm !!!! & Pentax ME !!! 500mm lens weighing in at less than 450g – I liked the doughnut bokeh!! Phillip, thanks for such a useful review. But have you considered value of preset diaphragm for low light macro? Sometimes something which should be obvious is so close to our eyes we embarrassingly look right past. Rangefinder cameras were unsuited for macro. We carried a measuring stick. Leica Visoflex on an M3 solved that problem, but focusing through our final stopped down aperture was inaccurate. SLRs of the 1960s brought us the preset diaphragm, allowing us to set exposure, then compose and focus wide open, lens stopping down instantly when shutter released. With mirrorless we are back to focusing stopped down. In macro this is problematic. It’s impossible when in low light or when using flash, for instance to arrest motion of wild flowers shaking in alpine winds. When I use my Minolta Maxxum 100mm f2.8 macro on an LA-EA4 I get the preset diaphragm built into this lens, however when using a native E-mount macro, or a vintage Micro Nikkor 3.5/55 on a Vello manual adapter, there is no preset. Additionally, preset diaphragms allow metering wide open. In this example, taken this week at my home with the Minolta + LA-EA4 mounted on an a7iii, I needed f/16 for DOF, needed to expose for highlights within the micro image in droplet. Used tripod, yellow peaking high, 2nd level focus magnification. To avoid blowing highlights used zebra lines on clouds within micro image. Here is original from camera and crop after bringing up shadows in Lr: -https://photos.app.goo.gl/ju3mpWb8mUUk1M5k8 – I tried to record this image using lenses lacking preset diaphragm and it was too difficult, failed repeatedly. Final step should be focusing. To focus first, and then reseting exposure to final stopped down setting, risks loosing precise focus. For situations like these you might want to uncheck “Live View Display: Setting Effect”. If I am not working with flash I greatly prefer the WYSIWYG viewfinder as I will always see the actual depth of field in the viewfinder. I don’t have many macro lenses, but i REALLY enjoy the Canon new FD (i call it nFD) 50mm f3.5 from the cheap budget range. It’s somewhat long, because the lens elements are so deeply recessed. But that gives it better flare resistance, protection, etc. To counter the size, it’s VERY light in weight (~220g, like plasticy nFD lenses in general) and a real JOY to use! Almost the same size and weight as the Olympus 60mm f2.8 for m4/3. It’s a beautiful lens that produces pleasantly sharp pictures with great contrast and vividness. I’d compare the color punch to something like Pentax or Minolta MD 35-70mm f3.5 1:4 macro levels. f32.0 is quite unusable, but otherwise great and very nice wide open too! The focusing is perfectly smooth and precise, like in general with nFD lenses and bokeh is nice. It just feels so nice. One downside is the very noticeable focus breathing. Anyways. Maybe the bigger size with the perfect focusing and light weight makes it so great. And the pictures speak for themselves, time and time again. It’s quite a budget lens around 50-100€, but great stuff! Surely something like the 90mm+ range is more versatile in the field, yet a nice 50mm macro always has it’s place aswell. I use this lens on crop sensor cameras (aps-c 1,5x and m4/3 2x), it’s really nice on NEX especially with the great grip. Just sold one Tamron macro 90mm f2.5 (52B), because it was simply way too heavy! Superb build quality, one hell of a lens but heavy! Noticed i’m just not taking it with me to the field, and that’s what matters. The blue dot sensor reflection was killing it for me also. Use the lens hood and recommend the 1:1 (2x) extension. My Macros of choice are the Oly 50/3.5, the Sony 90/2.8. The one that is missing here is the Minolta Rokkor 100/4. With or without the Macro Tube it’s a remarkable lens, even wide open. I used it for over a year until I got the Sony. The website link I listed is for the Minolta images I have on Flickr. I used a MD 4/100 for a while on the Sony Nex series and it is a solid performer for sure but in comparison with other macros it didn’t stand out enough that I felt a need to include it here. I did not see mention of the Minolta 200mm F4 APO Tele Macro – a Minolta A-mount very similar to the superb Nikon 200/4.0 AF micro nikkor which I have used as my main macro lens for many subjects for 25 years. The Minolta is hardly ever seen here in the USA for some reason but they are available from Asian sellers. I use mine on the LA EA3 – it is not too heavy and has a rotating tripod collar. The Nikon version has a better tripod collar and is also an excellent lens to use on Sony although automation of the diaphragm requires one of the special Nikon to e-mount automatic adapters. Interestingly both of these lenses seem to have similar or identical optical formulations and both were released around the same era. The Sigma 150/2.8 are also excellent. Thanks for all the great reviews and wonderful images that you publish in your site. If you plan to have only one lens in your kit, then I’d get the 50. It’s moe versatile than the 90 even though it has some drawbacks ( worse AF, busy bokeh in portrait distances though fine at macro). It’s also much lighter. And you could afford another lens sooner. 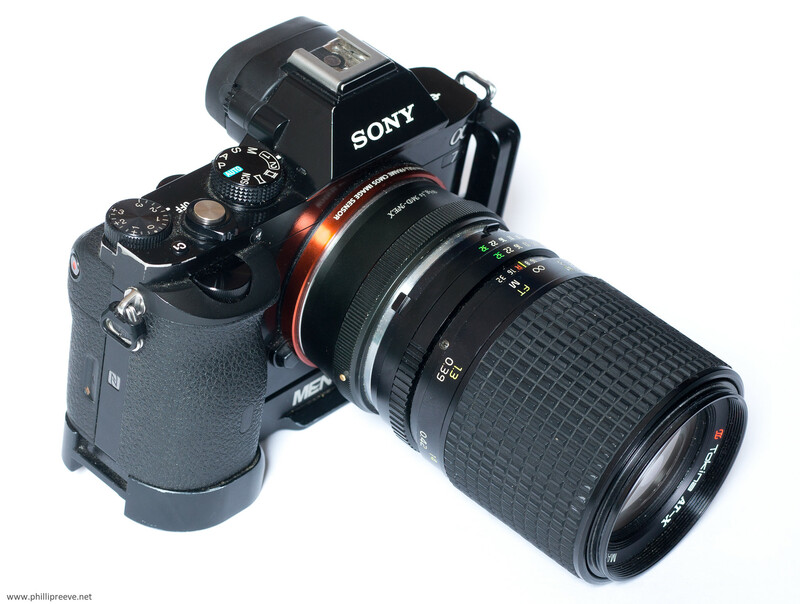 Unless you love resolution I might also be tempted by A73 over A7r2. Many little niggles were sorted out. 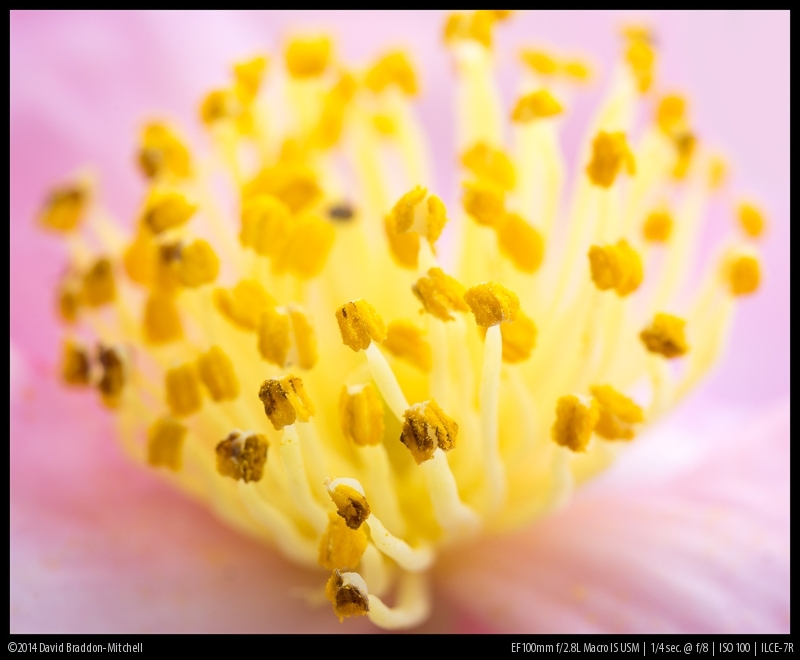 Tried any medium format macro on Sony yet? The medium format lenses (especially older oens) are not exactly designed for high pixel densities and therefore might not be the best option. 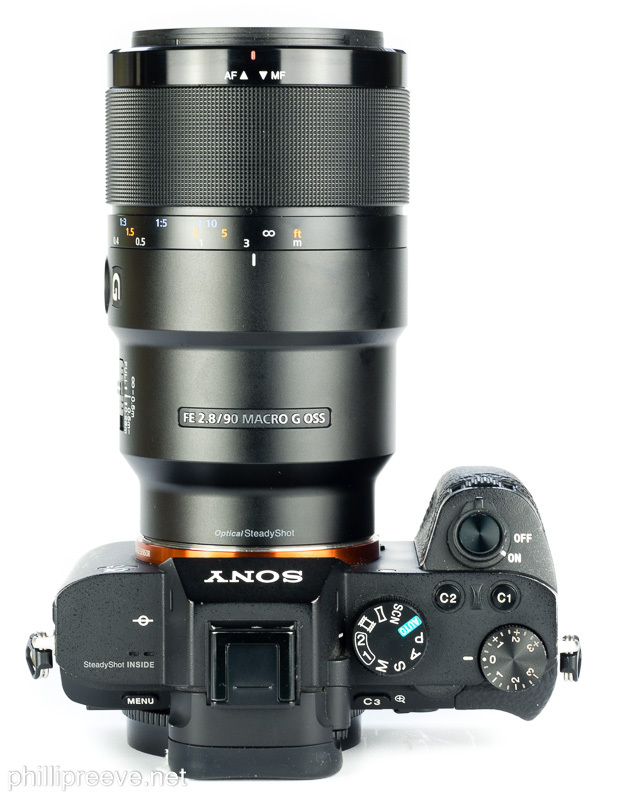 Can you please advise if the MINOLTA AF 100MM F2.8 MACRO LENS 100/2.8 is compatible with Sony a7rII ? does it need an adapter or no. Hi Guys! Thanks for this very useful post on Macro. Personally, I m slightly biased to go with the 110APO, mostly due to better glass and build quality. For it’s price, it seems like getting Zeiss-level qualities for half price! I like that potential in getting sharper, superior shots. My concern with this lens: No AF. I am a total newbie. Will I be able to pickup with manual shooting in a reasonable period of time? Doesn’t sound too easy. I got a tripod that I can use, but I wouldn’t like to miss ‘point and shoot’ (that the G90 offers). Because I don’t think I can go handheld with the 110APO (no IBIS on the a6300 either…). You do mention that for Macro photography, AF isn’t really an advantage and I think I get why. But also as you mention, the G90 doesn’t impose a restriction in this respect, as the focus lock button allows it to work as a MF lens would. One thing I don’t like about either lens – is the lack of proper weather-proofing. The G90 has some dust/moisture resistance (which is debatable, as there is no gasket). The 110 APO claims none. I can’t get why – especially for a macro lens – when you ll spend time in a forest doesn’t necessitate the need for proper sealing. But given current circumstances, there seems to be no choice on this, as for serious macro, one has to chose one of the two. Then, there’s the ‘copy’ issue – mostly affecting the Sony. Will I get a decent copy? If not, how will I know given the fact that I m no expert? I am in no position of making a return claim, if somehow I ended up with a bad copy of the lens. Other than that, I can see that the 110APO is still rolling. It would be nice to have a direct comparison between the two. One more question please – in 1:1 (life-size) shooting, which of the two is the sharpest? Is there really that much difference? Still happy with my CV110 but I think in your case I would go for the Sony. At 1:1 it is actually a littler sharper than the Voigtlander and has no issues with straight aperture blades. AF and OSS are in your case good arguments for it while there aren’t that many for the Voigtlander beyond image quality and while the CV110 is a little better in that regard (at longer distances) this difference probably won’t be noticeable to most of those which could see your work. When you say that the G90 is sharper at 1:1 – do you mean at wide open and sharpness throughout the entire image (center + corners)? (although I d guess that in macro shooting we are mostly concerned with ‘center’). As for the non-macro part, from what I ve read the CV110 gains a slight(?) advantage over at infinity (as demonstrated by landscape shots). As a novice, I did spend some time with the ‘AF peaking’ feature on my a6300 – which looks pretty handy. Although I was worried about the lack of AF on the CV110, it doesn’t seem too difficult shooting in manual mode. Other things in my mind include build quality (+CV110), and lack of weather resistance for both. Sony claims ‘dust/moisture’ resistance (for which I m not convinced as you say!) as although it doesn’t externally extend, the buttons on the lens body could be it’s achilles heel. The CV110 could have issues with dust/dirt build up in the long term (but it’s otherwise a solid made lens). Yes if you ignore AF, the CV has the advantage from 1:4 onwards. And at 1:1 and 1:2 the Sony is better at every point in the field (especially in contrast) at all apertures – when you are focussed on that position. I haven’t tested it’s field flatness, as I don’t make macro images of 2D objects. With sharpness/contrast considerations (at 1:1) out of the way, I leaning towards the Sony. I m just trying to figure what my working distance would be like. On a FF body 1:1 is achieved at 28cm. On my a6300, the effective focal length would be 135mm – but at what distance do I need to get to for 1:1? My only other concern for the Sony was the build quality. What I gathered (mostly from Amazon reviews…) is that despite mostly being made from plastic, there are no major issues with it over the long term. I do appreciate the more quality feeling you get from the 110APO, but as long as it works, I guess that’s not too important. I mean, OK, it’s ‘only’ a $1000 lens, but it should last for a long while! (obviously provided that it’s well taken cared off e.g. not dropped, not used in pouring rain or anything). Thanks for you valuable feedback on my queries! Copy variation (according to Roger Cicala) is something which doesn’t change because to combat it it needs to be addressed from the design stage on.